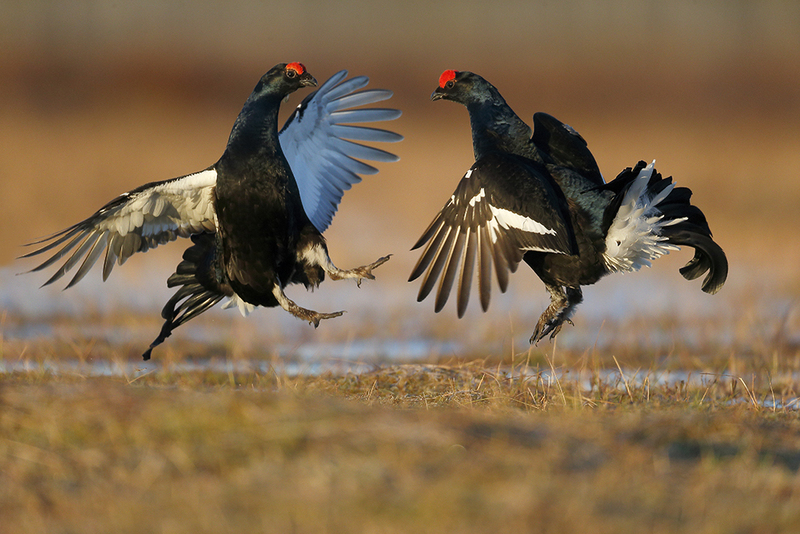 Black grouse fighting at a lek in Finland. Canon EOS 1dx. 800mm lens. 1/2000th at f5.6. 1600 iso.